You all know that fruits are good for you. They’re full of vitamins, minerals and fibres. But are you and your family eating enough of it? Children can be fussy eaters, adults too, and sometimes fruits aren’t on the top of our list of favourite food to eat. We rather eat lollies and cakes to satisfy our sweet cravings. Too much sugar, though, is the cause of many illnesses. It’s been called the modern drug that causes addiction due to its release of dopamine in the brain. The more you have of it, the more you want it. Let’s take a quick look at some of the ill effects of sugar. Sugar feeds the yeast in your body, causing it to multiply in your bloodstream and organs. This makes your blood acidic. Keep in mind that a healthy body is slightly alkaline. When the body is too acidic, all sorts of illnesses can develop such as gout and cancer. Sugar quickly raises your blood sugar and just as quickly your body’s insulin will strip that sugar from your blood and make you feel fatigue and craving for more sugar. Also, sugar doesn’t satisfy your hunger but makes you hungrier so you end up eating more food which leads to obesity. Too much sugar can cause a fatty liver because the sugar is stored in the liver as glycogen but if there’s too much glycogen then the sugar is converted to fat. When insulin stops working, because the cells become resistant to it, it leads to type II diabetes in people who eat too much sugar. Insulin also regulates cell growth so it can contribute to cancer. These are some serious health issues that you want to avoid by limiting your intake of processed and artificial sugars. Let’s stick to what Allah has given us in nature because the more we eat things as close to its natural state then the beneficial it’ll be for us. Praise Allah that He has given us so many different and delicious fruits. There is so much goodness in each one. Even though fruits contain high fruit sugars, they also contain fibre and other nutrients that are good for you and buffer the effects of the sugar. Also, most fruits have a low Glycemic Index which means that it will take longer for your body to change the fruit to glucose so you won’t have a sudden spike in blood sugar. So when you feel like something sweet, reach for a fruit. Or better still, if it’s available then aim to eat one of these five fruits mentioned in the Qur’an as they are among the best fruits. And shake the trunk of date-palm towards you, it will let fall fresh ripe-dates upon you. So eat and drink and be glad. And if you see any human being, say: ‘Verily! I have vowed a fast unto the Most Gracious (Allah) so I shall not speak to any human being this day (Qur’an, Maryam 19:25-26). It’s only in recent years that science has revealed that the date can cure a number of illnesses due to its nutrient-rich properties. Some of these are bone health, nervous system health, heart health, blood purification, skin and vision improvement, digestion, allergies, immunity, cholesterol and cancer. By the fig and the olive. By Mount Sinai. By this city of security (Makkah). Verily, We created man in the best mould. Then We reduced him to the lowest of the low. Save those who believe and do righteous deeds. Then they shall have a reward without end. Then what causes you to deny the Recompense? Is not Allah the Best of judges? The fig is mentioned only once in the Qur’an but it is one of the fruits that Allah swears by, indicating that it is one of the best fruits there is. Like the date, it is dense in vitamins, minerals and fibre. And similarly, figs are said to aid in digestion, heart health, bone health, vision and even skin and hair health. It can cure high blood pressure and diabetes due to the high levels of potassium whereas the high fibre content reduces cancer. Then We (Allah) brought forth for you gardens of date-palms and grapes, wherein is much fruit for you, and whereof you eat. Grapes are high in vitamins and minerals but the most famous phytonutrient in grapes is resveratrol. This aids in heart health, skin, eye and brain health, migraine, cholesterol, increased immunity, diabetes, high blood pressure and cancer. The nutrients, however, are mainly packed into the skin and seeds of grapes so don’t peel or spit out the seeds, eat them all. Pomegranates are full of vitamins, minerals and fibre. Its beneficial antioxidant compound is found in both the juice and the peel. If you’ve ever eaten a pomegranate before then you’ll know that the peel often comes off with the seeds and it’s time consuming to pick and separate them out. So don’t do it but eat them all together. The antioxidant in pomegranates is said to be three times more powerful than green tea. It is a cure for heart disease, cholesterol, high blood pressure and cancer, among others. They will be among thornless lote‐trees, and banana‐trees (with fruits), piled one above another. And in extended shade, and by water flowing constantly, and abundant fruit, neither cut off nor forbidden. The banana is described in the Qur’an as one of the fruits from Jannah that the believers will enjoy. We know that Jannah is the best place with only the best things. It says a lot that the banana is named among them. As usual, they are packed full of vitamins, minerals and fibre. They are great for digestive health, heart health, mood enhancing, diabetes, high blood pressure and cancer. Before you reach for the pill, try these natural alternatives. They are preventative as well as curative. And before you reach for the processed sweets, try one of these fruits. They will satisfy your sweet cravings. Have them readily available to your family so they too can reap the benefits. If you worked hard during the last two periods of seven years, you will already be that trusted confidant, that advisor, that go-to person when they need help or advice. Be part of their lives, and advise them as best you can. [He is] the cleaver of daybreak and has made the night for rest and the sun and moon for calculation. The sacred months are Muharram (The 1st month), Rajab (7th), Dhul Qa’dah (11th), and Dhul Hijjah (12th). From this verse we understand that Allah (swt), in His Perfect Wisdom, has blessed certain times and certain places with virtues and great rewards with which he has not graced others. Allah (swt) has made certain months, days and nights more virtuous than others, to motivate his slaves to increase in worship and righteous deeds, renew their energies and revitalise their Iman. 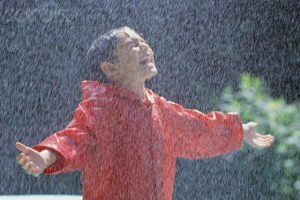 From all the days Friday is the most virtuous and ‘The Best of Days’. (Sahih Muslim Book 7, Hadith 26 – http://sunnah.com/muslim/7/26 Sahih Muslim). And from among the months Ramadhan is the most virtuous. However, there are other days scattered around the year that, too, have great virtues in them. The ten days of Dhul-Hijjah (The 12th month of the Islamic calender) fall under this category. These are the days when the pilgrims perform their tasks of Hajj. Just as these hujjaj have a special chance to get extra rewards, the ones who were not able to go for Hajj are also given a special chance to get more rewards during these days. Such are the virtues and blessings of the first 10 days of Dhul Hijjah that Allah (swt) takes an oath by them, which indicates their importance. Allah (swt) says: “By the dawn; by the 10 nights” [Surah Al-Fajr (The Dawn) http://quran.com/89/1-2%5D. There are various hadeeth that narrate virtues of the ten days. The Prophet (upon whom be peace) said, “One fast during these days is equal to the fasting of one complete year, and the worship of one night during this period is equal to the worship in the “Lailat-ul-Qadr”. So, during this period every Muslim should avail of this wonderful opportunity by keeping fast and performing as much acts of worship to Allah as he or she can. The Takbir said during these days is of two types: general and specific. (a) General Takbir: It is a sunnah to say takbirat at all times during the first 13 days of Dhu’l-Hijjah. The known appointed days are the first ten days of Dhu’l-Hijjah according to the scholars of tafsir. Moreover, Allah says in surah al-Baqara: “And remember Allah during the few appointed Days.”[2:203] The few appointed days are the 11th, 12th and 13th days of the month of Dhul-Hijjah. Regrettably, only a few people care to perform this great sunnat of our beloved Prophet (may peace be upon him). This takbir should be pronounced loudly, in order to revive the sunnah and as a reminder to the negligent. There is no specific time to do; we can do it as per our convenience. This is a time to glorify our Lord, thank Him for His countless bounties and having mercy upon us. It is narrated about Ibn Umar and Abu Hurayrah (may Allah be pleased with them) that during these 10 days ‘they used to go out to the markets saying the takbir, which motivated other people to join them in saying takbir. Hazrat Ibn Umar (may Allah be pleased with him) used to say takbir after prayers, whilst on his bed, in his tent, in a gathering and whilst walking. (b) Specific Takbir: The other form of takbir is the restricted takbir. It is same in words; the difference is that it is to be said after each obligatory prayer beginning from the Fajr of the 9th Zul Hijjah up to the ‘Asr prayer of the 13th. This takbir is called Takbir of Tashriq. Allahu Akbar, Allahu Akbar; La Ilaha Illallahu, Wallahu Akbar; Allahu Akbar wa lillahilhamd. Saying this takbir after each and every fard salah, whether performed collectively or individually, is obligatory on each Muslim. However, male Muslims should recite it in a loud voice, while females should recite it in a low voice. It is narrated about Umar bin al-Khattab, his son Abdullah and Abu Hurayrah (may Allah be pleased with them) that they used to say takbirat loudly. (2) Fasting: The second deed that Muslims should try to perform is observing fast. Fasting nine days of Dhu’l-Hijjah is recommended. Fasting is a form of worship of Allah, the Exalted. Narrated Ibn ‘Abbaas (may Allah be pleased with him) the Prophet (may peace be upon him): “There are no days on which righteous deeds are more beloved to Allah than these ten days – i.e. the first ten days of Dhu’l-Hijjah).”. These righteous deeds include fasting. The scholars are unanimously agreed that it is Haraam to fast on these days. InshaAllah we will discuss the other 2 forms of worship: the sacrifice and Haj in our next article. Explaining the reason and wisdom behind this, some of the ulama have said that in this month, hundreds of thousands of people are blessed with the opportunity of visiting the sacred house of Allah in Makkah. There, they enjoy the spiritual atmosphere of the holy places and acquire maximum benefit from the blessed moments. Whilst they are there in the state of ihraam certain acts become impermissible for them. Amongst them is clipping of nails and cutting the hair. The Prophet (may peace be upon him) instructed those of his followers who could not reach the blessed places, to imitate the pilgrims by not cutting the hair and clipping the nails so that the mercy of Allah can enshroud them too together with the pilgrims. Ulama have stated that this includes moustache and hair of the private parts etc. However, if the hair under the arms and in the pubic region is very long (which renders the salah makrooh i.e. it has been more than forty days since it was last removed), then it will become compulsory to remove such hair. 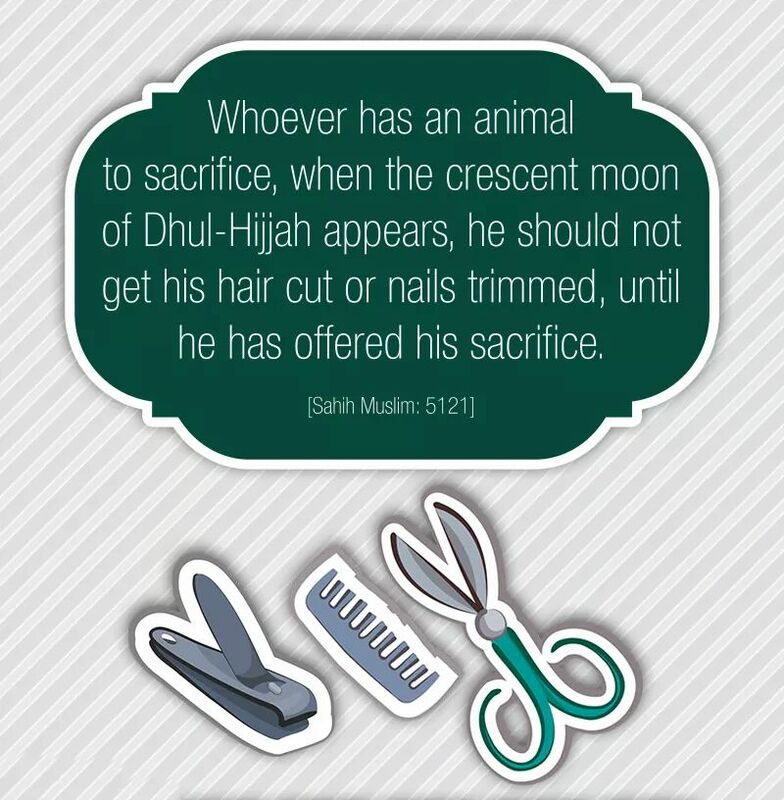 However, if a person forgets to clip the nails before the 1st of Dhul Hijjah and the nails have grown so long that they may cause injury, then he may clip them. A couple of years ago a group of students from Macquarie University attached a label to each of its Active organic water bottle and this made headlines across the globe, especially through social media. The quote was not from Aristotle, Plato or any other non Muslim philosopher but a quote from non-other than, our beloved Prophet Muhammad (pbuh) The quote was a Hadeeth narrated in Sunan ibn Majah, “Do not waste water even if you are at a running stream.”. A question arises, why was this quote attached to the water bottle and what compelled them to attach this quote? The simple answer is due to the ever increasing problem the world is facing regarding wasting water and food. 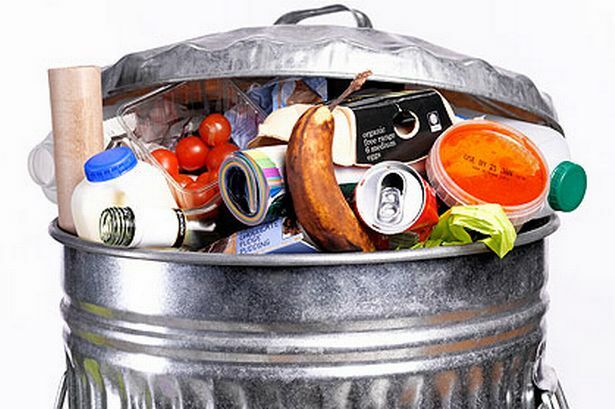 ♦ 15 million tonnes of food is thrown away every year in the UK. ♦ 7 million tonnes comes from our homes. ♦ One-fifth of what households buy ends up as waste, and around 60% of that could have been eaten. ♦ Britons are still throwing away the equivalent of 86 million chickens every year. ♦ The top three foods being thrown away uneaten in British homes are bread, potatoes and milk. The equivalent of 24 million slices of bread, 5.8 million potatoes and 5.9 million glasses of milk are wasted daily. This has led to new companies emerging around the globe to resolve this global problem, in England, Love Food Hate Waste was launched in 2007 to raise awareness of the need to reduce food waste and in June 2009, then Environment Secretary, Hilary Benn announced the government’s “War on Waste”, a programme aimed at reducing Britain’s food waste. According to research, food waste was only identified as a problem in the UK during World War 1, whereas Islam had identified the problem and raised awareness about this issue 1400 years ago. ‘Any action which an individual performs which exceeds the limits is considered as being Israaf’. Being extravagant is to spend more than your means – which means that extravagance is relative and not something that we can put a limit/number to. How many times have we sat down to eat, or been in a restaurant or at a wedding function and wasted food, and it doesn’t even cross our mind that we have just violated the commandment of Allah. Not only violated the commandment of Allah but also wasted crucial resources which was used behind the preparation of food such as energy, fuel, time and water that went into growing, harvesting, storing, transporting and cooking the food. Some nine months ago somewhere in India a farmer planted rice seeds. Every day he goes out in the morning and check his crops until the rice grains are mature and ready to be harvested. He drains any excess water and harvest. After being harvested it goes to a milling process, the objective of a milling system is to remove the husk and the bran layers from paddy rice. It is then transported to a packaging company, where thousands of employees work to pack rice in bags, before it is shipped around the world. The rice is transported to a warehouse and then it is directed to our local supermarket. Someone from our household goes to the shops and buys the rice, comes home and whilst we are at work spends their time preparing the food. After work we come home, get changed and sit down to eat, the food is placed in front of us in our plates. After all this, we have the decency to label it as rubbish food and have the courage to throw it away. Dear readers we have not just wasted food, we have wasted the nine month cycle where thousands of pounds, employees effort and time was spent behind the preparation for the food. Whereas our prophet was so particular about not wasting that it is narrated in a hadeeth that the Prophet (pbuh) g said “when you eat, do not wipe your hands till you have licked it”, he has mentioned licking of fingers to make sure no food is wasted. So dear readers let us from today make a firm intention, that we will try our utmost in not wasting food. When the sun was eclipsed at the time of the Messenger of Allaah SAWS (peace and blessings of Allaah be upon him), he went out rushing nervously to the mosque, dragging his cloak behind him, and led the people in prayer. He told them that the eclipse was one of the signs of Allaah, with which Allaah makes His slaves afraid, and that it may be the cause of punishment coming upon the people. He commanded them to do that which could prevent the punishment, so he commanded them to pray when an eclipse happens, and to make du’aa’, seek His forgiveness, give charity, free slaves and do other righteous deeds so that the punishment would go away and not befall the people. So the eclipse is a reminder to people, making them afraid so that they will turn back to Allaah and pay attention to Him. 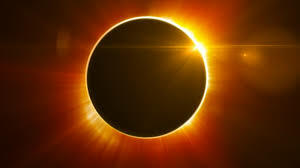 “The sun was eclipsed at the time of the Messenger of Allaah SAWS (peace and blessings of Allaah be upon him), and the Messenger of Allaah SAWS (peace and blessings of Allaah be upon him) went out, stood up and said Takbeer (‘Allaahu akbar’), and the people formed rows behind him. The Messenger of Allaah SAWS (peace and blessings of Allaah be upon him) recited a lengthy recitation and did a lengthy rukoo’, then he raised his head and said, ‘Sami’a Allaahu liman hamidah, Rabbanaa wa laka’l-hamd.’ Then he stood upright and recited another lengthy recitation, shorter than the first. Then he said ‘Allaahu akbar’ and did another lengthy rukoo’, shorter than the first. Then he said, ‘Sami’a Allaahu liman hamidah, Rabbanaa wa laka’l-hamd.’ Then he did sujood. Then in the second rak’ah he did likewise, until he had completed four rukoo’s and four sujoods, and the eclipse was over before he had finished.” (Agreed upon). The people you surround yourself with affects the outlook you have on life. 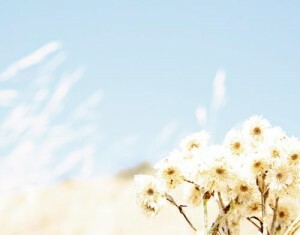 You don’t need many friends; what you really need is people who are positive, driven and possess some sense of purpose. That’s when you come to realise you actually need fewer friends. The sort of people whose conversations flower with positivity and ambition; they are always upbeat, mention only good of others and desire for the betterment of society.